Vancouver, British Columbia (FSCwire) - Belmont Resources Inc. (TSX.V: BEA; FSE: L3L1; DTC Eligible – CUSIP 080499403); (“Belmont”, or the “Company”). Further to the Company news release earlier today, Belmont Resources Inc., has arranged additional non-brokered private placement subscriptions for 3,500,000 units of Belmont (the “Units”) at a price of $0.05 per Unit for gross proceeds of $175,000. This financing is in addition to the 4,000,000 units ($200,000) subscribed by MGX Minerals Inc. for a total 7,500,000 units. Each Unit will consist of one common share of Belmont and one transferable share purchase warrant (a “Warrant”). Each whole warrant will permit the holder to acquire one additional share of the Company at a price of $0.08 in the first year and at $0.10 in the second year after closing. The Common Shares and Warrants are subject to a statutory hold period and subject to the TSX Venture Exchange (the “Exchange”) approval. No finder’s fees or commissions are payable on the additional subscriptions. The Company intends to use the proceeds from the private placement for additional Kibby Basin expenditures including updating its Kibby land position, additional staking as recommended following the completion of the Spartan MT Geophysical Survey, and working capital. Belmont is an emerging resource company engaged in the acquisition, exploration and development of mineral properties in Canada and Nevada, U.S.A.
Belmont has recently optioned 31 mineral claims encompassing approx. 7 sq.km; located 24 km northwest of Saint John, New Brunswick – the Mid Corner/Johnson Croft – a Zinc, Cobalt prospect. On March 30, 2016; the Company acquired sixteen placer (16) mining claims, representing 1036 hectares (2,560 acres) in Esmeralda County, Nevada, U.S.A. The Kibby Basin property is located 65 km north of Clayton Valley, Nevada-U.S.A. The Company believes the property to be highly prospective to host lithium. Subsequent ground geophysics & gravity surveys, surface sampling and a two hole- 2046 ft. diamond drill program have confirmed the presence of lithium on Kibby. In June 2018; the Company has updated its land position staking, and now holds 126 x 20 acre additional placer mineral claims totaling approx. 1,020 hectares (2,520 acres), adjoining the Kibby 16, for a total Kibby Basin land position (the “Property”) to 2,056 hectares (5,080 acres). In 50/50 ownership with International Montoro Resources Inc., Belmont has acquired and is exploring joint venture opportunities for its two significant uranium properties (Crackingstone – 982 ha & Orbit Lake – 11,109 ha) in the Uranium City District in Northern Saskatchewan, Canada. 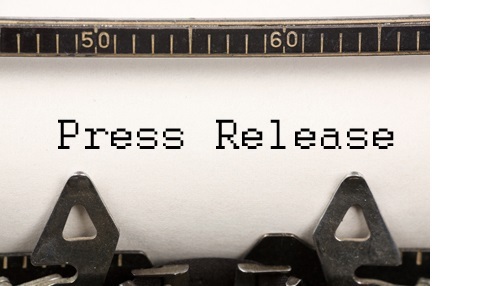 This Press Release may contain forward-looking statements that may involve a number of risks and uncertainties, based on assumptions and judgments of management regarding future events or results that may prove to be inaccurate as a result of exploration and other risk factors beyond its control. Forward looking statements in this news release include statements about the possible raising of capital and exploration of our properties. Actual events or results could differ materially from the Companies forward-looking statements and expectations. These risks and uncertainties include, among other things, that we may not be able to obtain regulatory approval; that we may not be able to raise funds required, that conditions to closing may not be fulfilled and we may not be able to organize and carry out an exploration program in 2016; and other risks associated with being a mineral exploration and development company. These forward-looking statements are made as of the date of this news release and, except as required by applicable laws, the Company assumes no obligation to update these forward-looking statements, or to update the reasons why actual results differed from those projected in the forward-looking statements. Neither the TSX Venture Exchange nor its Regulation Services Provider (as the term is defined in the policies of the TSX Venture Exchange) accepts responsibility for the adequacy or accuracy of this news release.